EduGeek, one of the world’s largest educational IT communities is joining forces with school ICT equipment supplier, ICT Direct at Bett 2018. Having exhibited at Bett since 2007 when they ran the EduGeek/Bett Technical Help Point helping guide people around the Bett show and providing technical advice, the EduGeek team have continued to be involved with the show ever since. 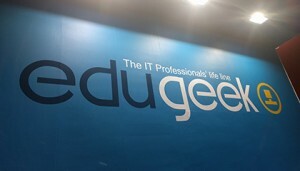 For the past 10 years ICT Direct and EduGeek have been working collaboratively on numerous projects, and the Bett Show provides the perfect platform for them to come together and promote their products and services. The stand, E150, will feature a range of ICT equipment from ICT Direct including PCs, laptops, workstations, monitors and IT storage solutions, as well as provide support to those seeking specialist IT products and services at the Bett show. EduGeek will be there to answer any questions about technology in schools as well as providing free pizza each lunchtime to members. The stand will also provide space for visitors to meet as well as rest and have a chat during the event. Visitors to the stand will have the opportunity to collect giveaways, enter numerous competitions with some fantastic prizes on offer, as well as consume some much-needed free pizza at lunchtime! Make sure you visit the ICT Direct/EduGeek stand, E150 at Bett 2018 on 24th – 27th January 2018. 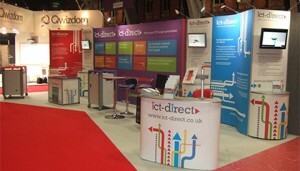 For further details contact John Graham at ICT Direct on 01254 820980.